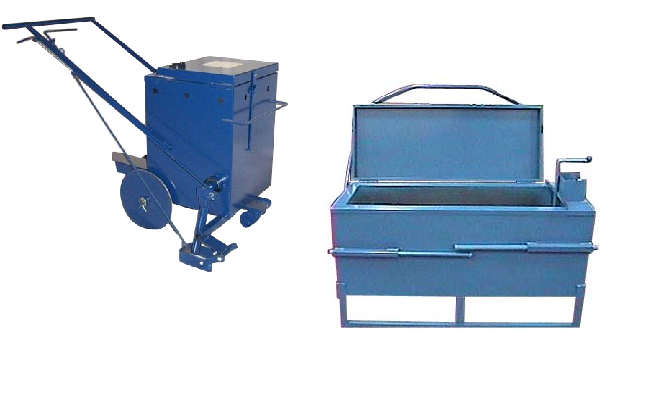 The 10 gallon wheeled melter works on both hot and cold pour material. 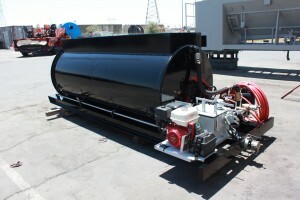 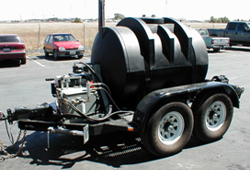 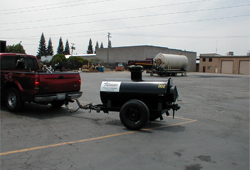 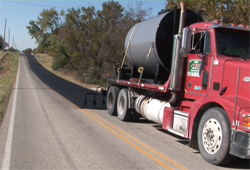 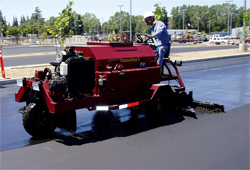 Mounted on steel wheels and equipped with spring loaded hand controlled release valve steel screed for striking off sealant in uniform width, burner assembly with house, as well as a platform for propane bottle. 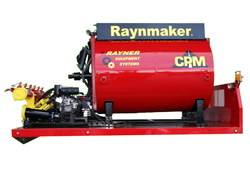 The 30 gallon Direct Fire Melter features a hand agitator, temperature gauge, hose, burner, retractable lifting handles, hinged lid and 1.5″ molasses valve.